This is a rectangular California Reserve Co. porcelain sign. This particular California Reserve Co. sign is predominantly white with a burgundy border and yellow text. 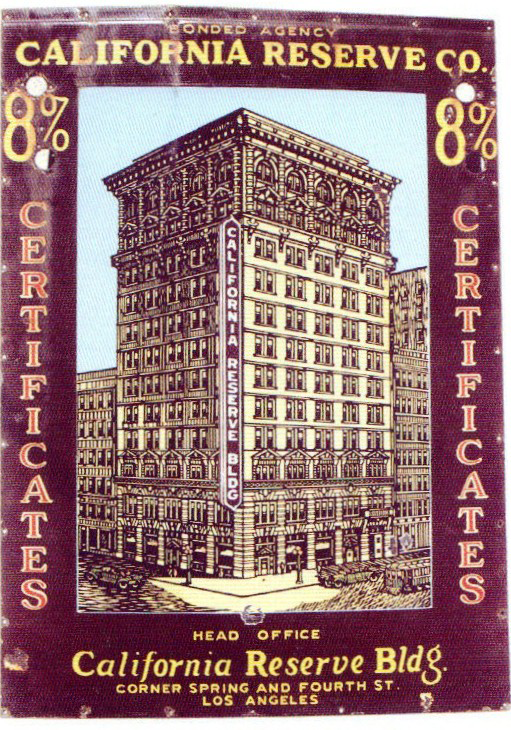 It reads, “Bonded Agency, California Reserve Co., 8% Certificates, Head Office California Reserve Bldg., Corner Spring and Fourth St., Los Angeles” and features a drawing of a large building in the center.